Sip & Bite Restaurant in Baltimore’s lively Canton neighborhood isn’t just a place to eat; it’s a veritable historic landmark. The Sip first opened its doors in 1948, when George Vasiliades started feeding longshoremen, waterfront workers, and other neighborhood regulars, 24 hours a day at fair prices. Today, after a major remodeling project completed in 2012, George’s son Tony runs the shop. Just like they did in 1948, the staff slings wholesome, satisfying diner food from the breakfast rush until the crowds flow in after last call. Don’t make the mistake of thinking of this as just some greasy spoon, Union Wharf: Regulars say the menu includes some true gems. 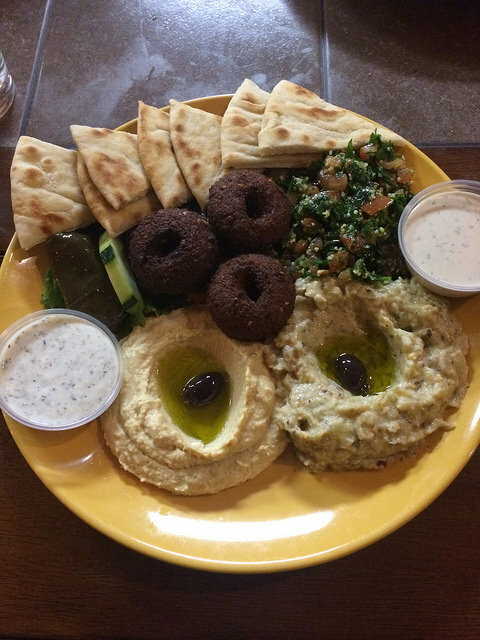 For example, the Greek platters are generously heaped with dishes like lamb chops, chicken filet, and spanakopita. Sip & Bite also has a reputation for offering one of East Baltimore’s most beloved and well-regarded crab cakes, and in a city like Baltimore that’s really saying something!